to look good. Cost: Less than $20. – cutter resistant keyed lock. •Put solar garden lights on the perimeter. This was my favorite because it made my flower bed look so pretty! up, we stopped 4 raccoons heading to the chicken coop! True, they weren’t human intruders, but it was a good test that the solar garden lights would work the way we intended. Cost: About $4/light. to see who was coming to my front door, or cars out on our street. By thinning these bushes, it left us some privacy but made it much easier for me to see out. Cost: $0, since we already have the pruning shears, and my kids did the work. that situation occurs, seconds count. Cost: $0 to rearrange what you already own so it’s easier to reach no matter where you are in the home. .Most of these weren’t super expensive and didn’t take much time. All of them we could do ourselves. Your list may be quite different than mine. 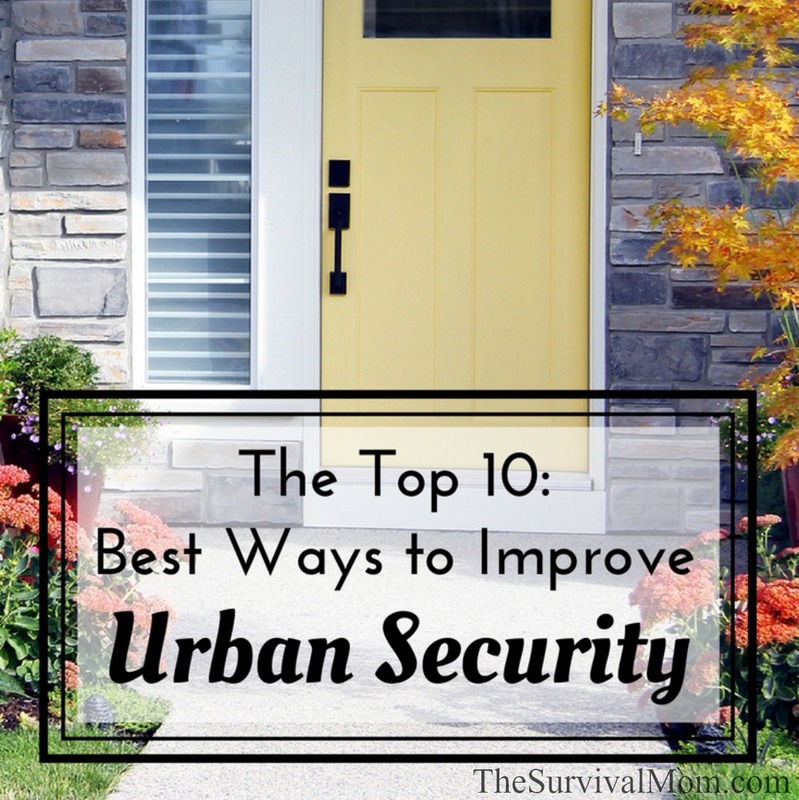 But take a quick walk around your apartment, home, or property and see what you could do to improve your own security. As a bonus, improving your home security might also reduce your home insurance payment. You could even start your list by checking with your home insurance agent to see what would count toward your policy. What tasks made it on your list? One thing that only takes 5 minutes to do is replacing the existing 1 1/2 inch screws that hold your front door on the hinges and also the face plate on the door frame with longer 3 1/2 or 4 inch screws. 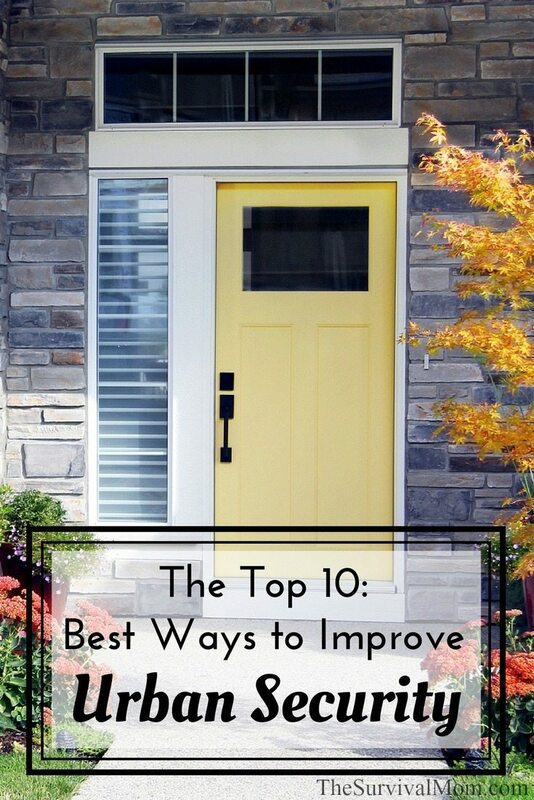 Search YouTube and you will find several videos demonstrating how much stronger your front door will be. Costs less that $10 and if an intruder spends more time breaking in it allows people to prepare inside or ill just discourage them from continuing. 1-Cut a broom handle to fit in the track of your sliding door. 4- Lights (motion sensor & other) around the entire periphery of your house. 5- Light and TV timers for when you are away overnight. 6- Common sense: never open the door to someone you don’t know. Talking through the door or even a second floor window is preferred. 7- Post alarm company signs and window stickers, even if you don’t have an alarm. Thieves like easy targets. 8- Make sure your car door ( with your garage door opener in it) is always locked, especially at home! Wow — someone who doesn’t immediately advise me to chuck my job and move to the country! Thank you for acknowledging the reality that many of us live in urban areas. Ugh. I get tired of hearing that advice, too!